It has been a busy week. Here are some snapshots of our week. I am having a hard time believing that my baby is turning 1 tomorrow. But we have been busy getting organised for his Birthday, and doing lots of gardening, which I loathe, but I appreciate what it looks like in the end. 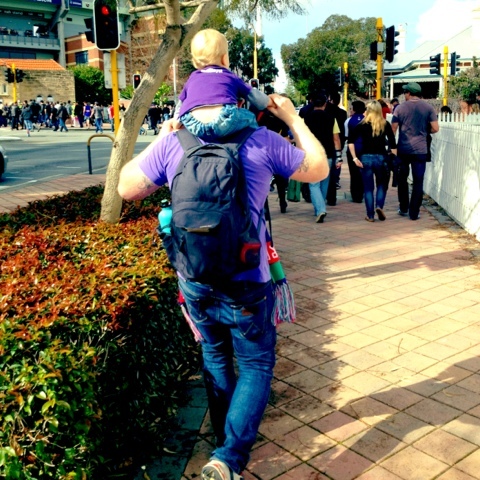 We took Ez to his fourth football game, the Western Derby (Eagles v Dockers), he loved all the excitement, and the fact that his team won. 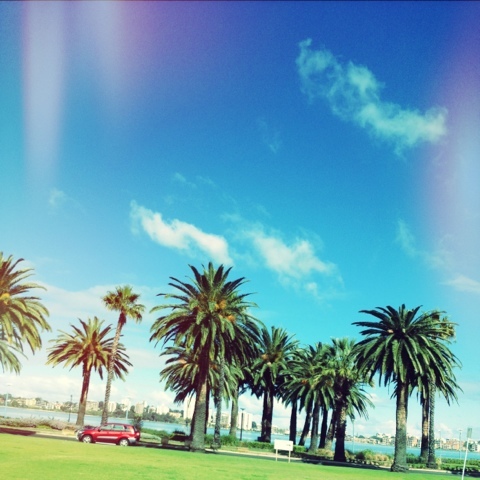 View of the Swan River looking south. Beautiful day! 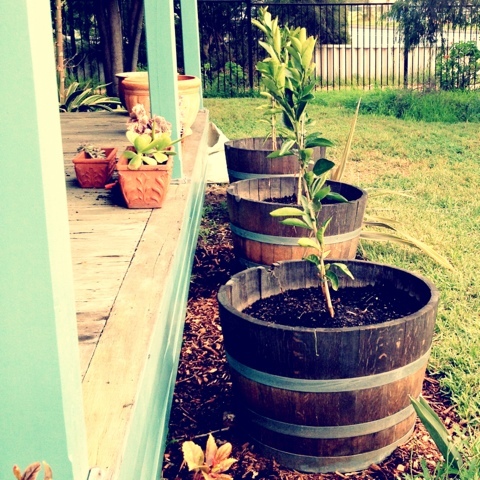 Now hope I can keep these Mandarin trees alive and bearing fruit! Purple Haze! Heading to the Western Derby, can you guess what team we support? 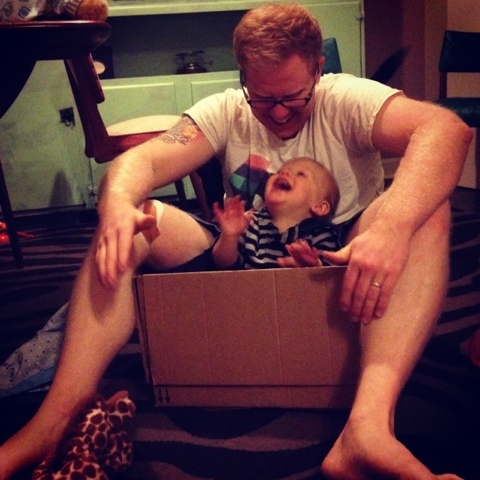 There ain't no better toy than a cardboard box, especially when your Daddy plays with it too. 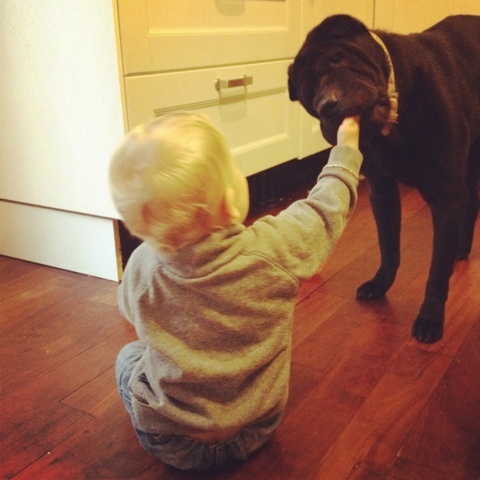 Gentle Angus, carefully removing the food from Ezra's hand. Ezra is bribing him so he won't mind if he hangs onto his tail for the rest of the day. Heart attack moment, when you spot your not yet 1 year old is standing on a skateboard, all on his own. 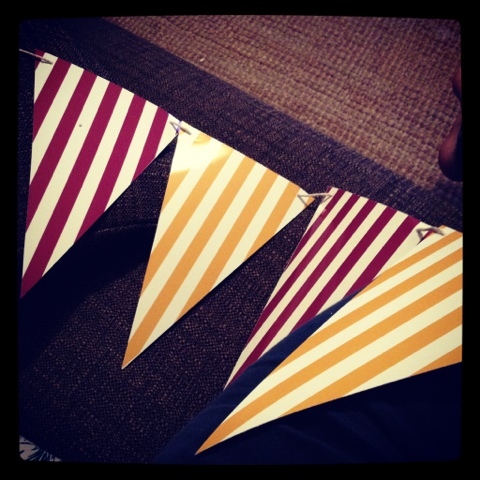 It is a certain little mans birthday this weekend, I have been getting the decorations ready! So FUN! About to hit the playground. Mummy Vans and Baby Vans. 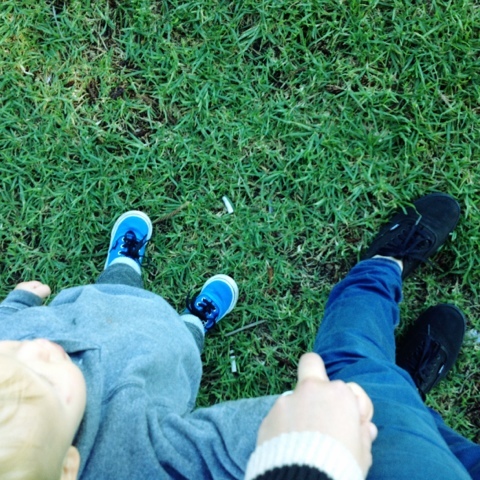 8 comments on "A week in Snapshots"
Looks like you've got a little skater boy! So cute! Isn't it funny how they can have all the toys in the world but will still prefer to play with a box! I think it was always a given that he would be into skating, it runs in the family! ha. Boxes are THE BEST!!! Buy them a $100 toy, and they would rather the box that it came it! 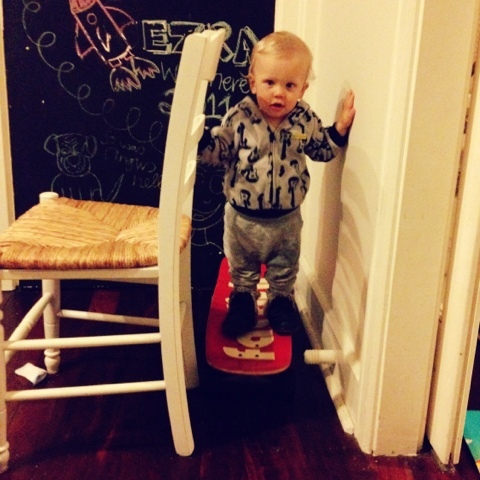 He loves that skateboard, you have a real boy there. I hope the mandarins grow for you, I have never had luck with them. 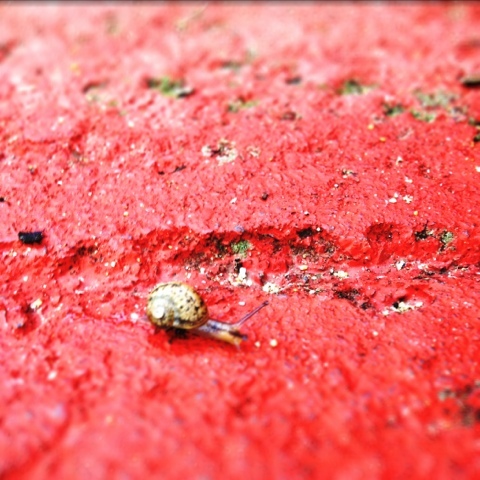 Thanks so much for stopping by my blog and being my 200th follower :) Your little guy is a total cutie! My pleasure!! Thanks for popping over and visiting!! Thank You!! Oh so incredibly fast, it is hard to believe he is 1 already, every week he just seems to be growing up even more.